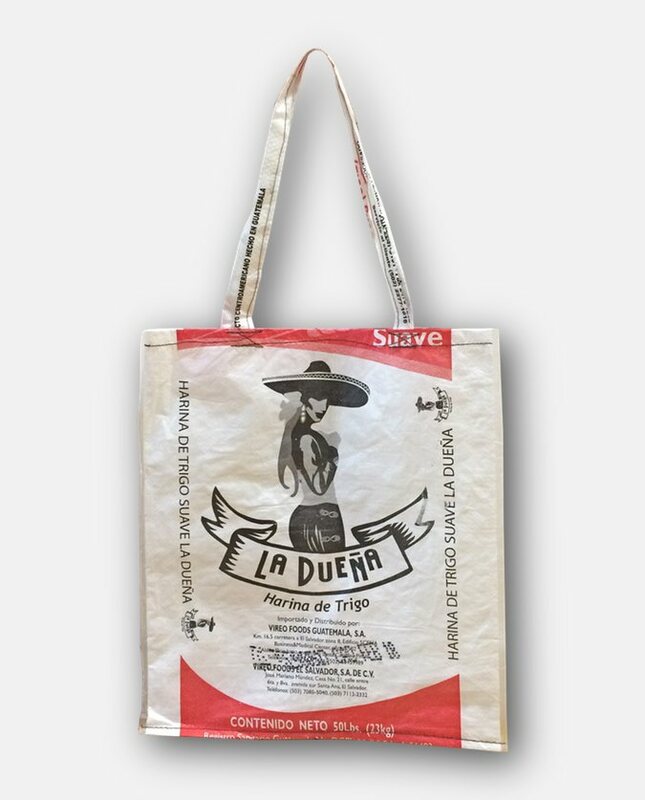 Large recycled canvas shopping bag from Guatemala. Image “The Duena”: The owner. Large crossbody bag made of Guatemalan recycled material, robust and all-purpose. Handmade from sacks of flour or cereals bought from factories. Image “La Duena”: the owner, symbolized by the image of a Mexican “vaquera” (cowgirl) with an imposing sombrero.